View from the pantry toward the cooking triangle. 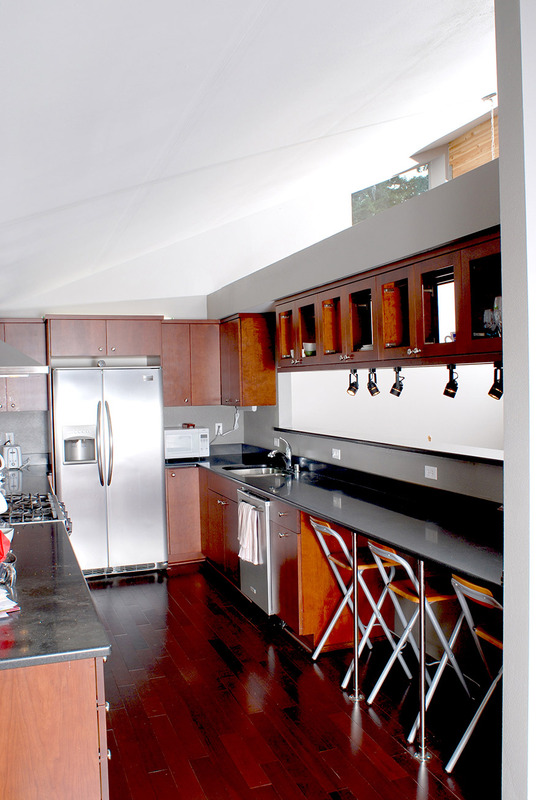 There is an eating bar for every-day use, and extensive counters providing preparation space for formal meals. Lighting above the cabinets makes the kitchen a bright space. The open plan connecting to the dining and living room makes the efficient kitchen design feel more spacious.